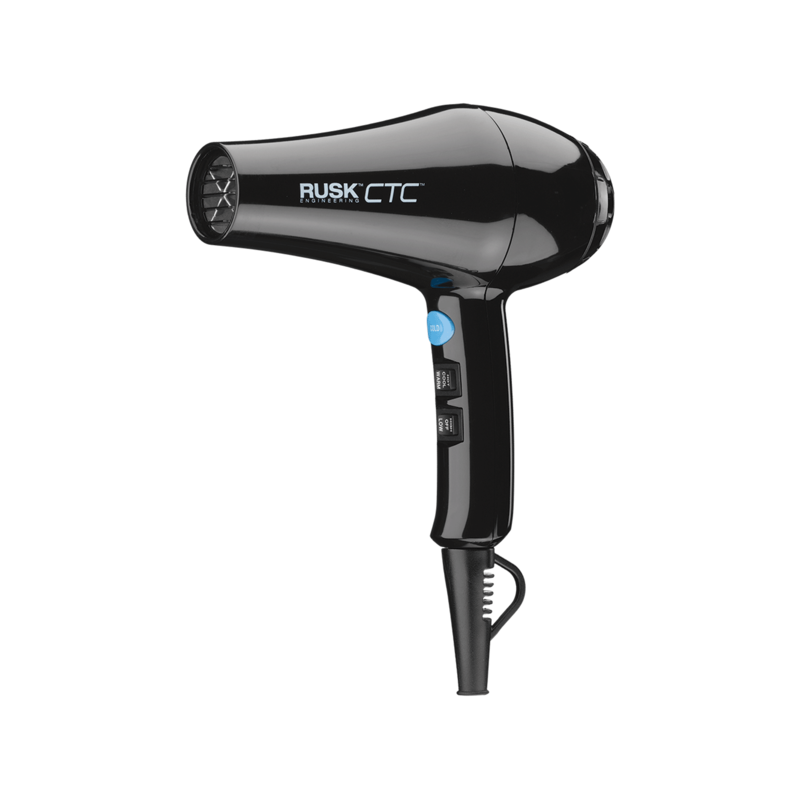 Rusk CTC Technology Lite Professional 1900 Watt Lightweight Dryer is infused with titanium and ceramic for maximum heat transfer. An innovative engineering design gives this dryer ultimate power and heat without the heavy weight, making it easy to hold and easy to style with. It provides maximum control over airflow and temperature, and comes with a perfectly engineered diffuser and slide-on concentrator. Create perfect curls or silky, straight hair with the same unit! - After shampooing and conditioning hair, towel-dry to remove excess moisture. - Next, section the hair. Use the dryer with styling brush and direct hot air through one section of hair at a time. This dryer can be used for multiple purposes. - To create volume, bend head upside down while drying. Position the airflow toward the roots for maximum lift. When hair is dry, toss head back and brush hair into place. To straighten, work with hair in sections, using a large round brush, paddle brush or styling brush. - Make sure to hold each section of hair taut for best straightening results. - To make waves, grasp hair at roots and scrunch between fingertips while drying. - Lite has an innovative design that delivers ultimate power and heat to dry hair quickly, without the weight of an ordinary dryer. - Features the ultimate control over airflow and temperature and comes with a perfectly engineered diffuser and a slide-on concentrator. - The stylist can create perfect curls or silky, straight hair.